Maurice Saatchi, co-founder of one of the most successful advertising agencies of all time said ‘simple ideas enter the brain quicker and stay there for longer’ and having spent around 20 years working in the communications industry I have had my fair share of experience and training on this from a business perspective. Saatchi also said ‘it is easier to complicate than to simplify’ but that is surely what we as youth coaches must do if we are to offer the maximum chance of learning to our young players? I have spent 20 years trying to explain complex ideas in an easy-to-understand way, and when I started coaching youth football I realised that my training in business could be of huge value to my newfound passion. Simplicity is a form of genius in my eyes, and the 140 characters that you are allowed per tweet on Twitter is a fantastic measure of how well you have simplified. 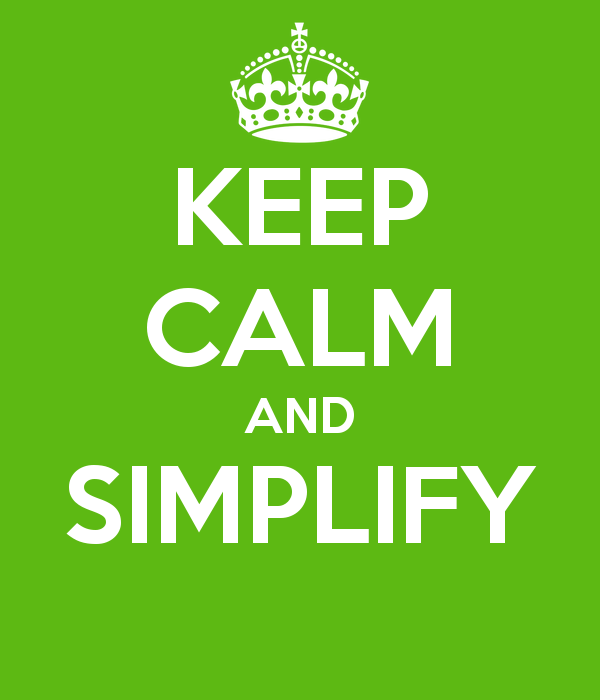 If you can’t articulate your idea in 140 characters, the chances are you need to further simplify. Young players have a limited attention span and so getting across key messages, in a very concise, easy to understand way is vital. 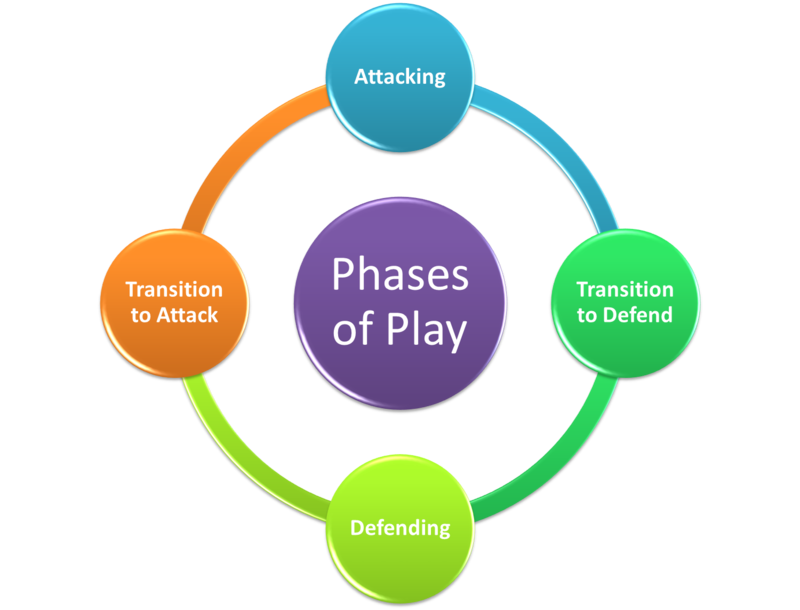 I could waffle on for hours to my 7-year-olds about the four phases of play for example, but how much would they take in and would the key messages be lost in the noise? Less is more. As an example, lets imagine you were trying to teach the four phases of play to a seven year old. It is likely too complex an idea (from a tactical perspective) for them to grasp with their limited attention span. So your only realistic opportunities is to scrap it all together, or to take what you consider the very essence of the four phases of play and condense it, to be a few simple pointers that might help your players understand. By definition, when we win the ball we become the attacking team and when we lose the ball we are the defending team, so I thought it was OK to drop all of that detail and to focus simply on communicating two, hopefully simple, concepts. What we do as an individual when our team win the ball and what we do when our team lose the ball. As the players develop and become exposed to more complex tactical coaching, I hope that this rudimentary exposure at an early age will prove to be a platform on what to build. I then try to design sessions that help players practice skills that they will need to operate successfully in all four phases, but only explain two of them as key points in every match, namely when we win the ball and when we lose the ball. For example, in training yesterday we played a game which was designed to help players practice attacking quickly as a team. The game itself was loosely based on the FA’s ‘Waves’ game. I set up with a 5-a-side pitch, and a goalkeeper in each goal. A team of three players start at one end, and another three at the other, and on the coaches instruction they try to work the ball forward as quickly as possible as a team, and score a goal at the opposite end. Before they start that exercise and a couple of times throughout the game, I ask them to visualise that they are playing in a game and that when I shout ‘go’ or ‘play’ they have suddenly won back possession. That is hopefully the starting point of the game in their minds. The practice was set up with a pitch in the approximate dimensions they will experience on match days, with interference from the team playing from the other end, and the stress of the other team scoring first which spurred them on to try and play more quickly. Incidentally, this practice led into a 4v4 game in which the players were encouraged to think about the last game, and how quickly they could attack as a team when they won the ball. Finally, repetition is how humans take short-term memories and transcode them into long-term memories. Without repetition, ideas are lost because long-term memories are not made. At every training session I ask the players what they remember about our formation (diamond), what we ask of our wing-backs (attack quickly when we win the ball, defend quickly when we lose it) and a couple of other key, simplified points around respect, teamwork and fun. Do you have any thoughts, comments or suggestions about this? If so, please leave in the comments! P.S. I set this blog up in the hope that I would get contributions from coaches, so please do send me anything you would like me to publish, or add your comments on this blog post in the comments section.